STG hosts free showings of films and performances by local up-and-comers with a social-justice bent throughout July. At Seattle Theatre Group’s weekly Nights at the Neptune series, which showcases social justice-themed work by up-and-coming artists, audience members may experience a work that’s still in the midst of formation — and find that they have a say in the process. Last Thursday, an audience gave input to filmmakers Mark Goodnow and David Pierre-Louis, who screened the documentary “Kenbe Fem”in a first cut at the Neptune, while still refining the film. “I’m looking for the community here to hold me and anyone else who is looking to do work in Haiti, or any work in general, accountable,” Pierre-Louis said. Upcoming programs: “DanceGarden: A Celebration of World Music & Dance,” by Gansango Music & Dance (July 2); “Rainier Valley Revival,” folk music by Ben Hunter and Joe Seamons with students from Washington Middle School’s roots music program (July 9); and “Erased,” contemporary-dance theater by Dani Tirrell and Color Lines Dance Ensemble (July 16). 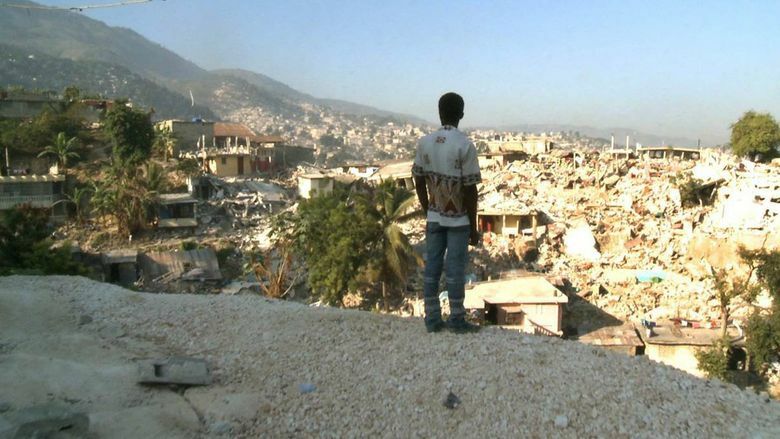 In 2010, Pierre-Louis found himself on a plane flight to Haiti, uncertain as to whether his mother had survived the region’s major earthquake, and seated beside a freelance reporter who asked to chronicle his search. Reluctantly agreeing, Pierre-Louis led the reporter through the devastation. But the reporter didn’t follow Pierre-Louis into his mother’s house, which had been mostly destroyed, until he heard a woman’s cry of joy — he then came in and filmed the embrace of mother and son. But the story didn’t stop there. As Pierre-Louis made efforts to help his mother’s neighborhood, he was inspired to look more critically into the kind of aid that goes to the impoverished country — at this point, director Mark Goodnow, the principal at Seattle-based production company The Production Foundry, had heard about the story and became interested in filming a documentary. Skeptical of the help that foreign-aid shipments could bring in the long run, Pierre-Louis developed the idea of building a community center — partly through sales of Haitian coffee — to improve education and, he hoped, Haitian autonomy. Pierre-Louis, one of the film’s producers, titled it “Kenbe Fem,” which means “to hold firm,” to call to mind this empowerment. “Kay Tita” meaning “mother’s house,” is the name of the overall project and community center, which is in the planning stages. The Thursday-night screening was free, but most patrons headed to a lively bar in the Neptune foyer arranged by Pierre-Louis, whose main gig is running the jazz and cocktail lounge Lucid in the University District. Patrons also had ample opportunities to contribute to the project — purchase Haitian coffee and beaded necklaces and paintings created by Haitian artists — and to give feedback on the film. After the screening, most stuck around for a Q & A session. 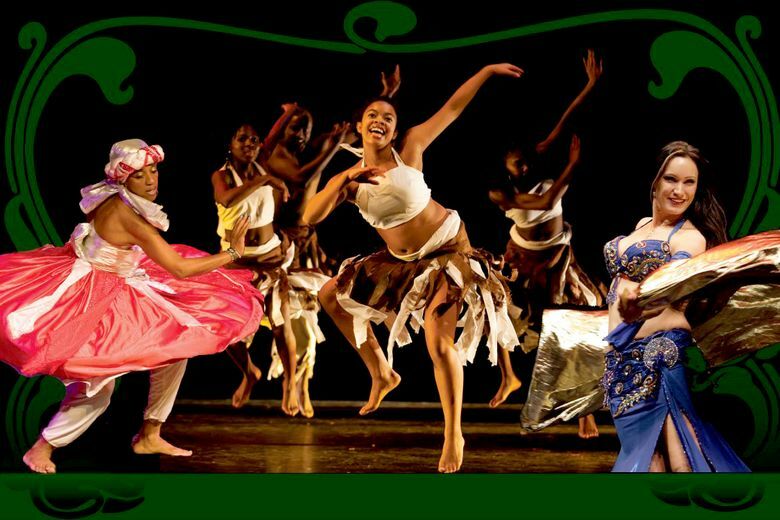 It was also a packed evening, artistically: Audience members heard pieces with themes of resilience from folk-music singer Naomi Wachira and from vocalist Felicia Loud and MC Jace Ecaj of the group Black Stax. Nights at the Neptune is a 3-year-old series presented by STG and focusing on local artists whose work has a social-justice angle. It gives filmmakers and performers who might not be able to afford to present their own work a platform for trying out material and building audiences. Pierre-Louis and Goodnow said the opportunity was exactly the boost they needed to make their labor of love into “something we’d be proud of,” in Goodnow’s words. The program is financially supported by the Nesholm Family Foundation and the Norcliffe Foundation, as well as individual donations.